Modular 3G/HD/SD real-time chroma keyer. Now everyone can afford the best chroma keying. With new lower pricing, Safire 3 is perfect for any applications - including those using full virtual environments. Broadcast engineers select it for its picture quality, ease-of-use and long list of features – including lighting compensation, colour correction and video delay. 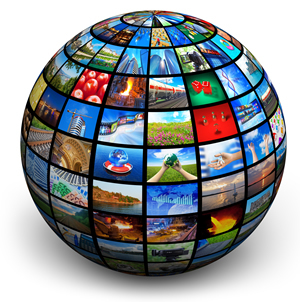 It's a pleasure to operate, using recently-enhanced hardware control panel or any web browser. Plus Safire 3 comes with the industry’s best support as well as a five year warranty. Any 3Gb/s, HD or SD live virtual studio or sports production where you care about the quality of the chroma keying. See who's using it. Broadcast engineers select Safire 3 for its affordable high picture quality, ease-of-use and long list of features – including built-in colour correction and video delay. 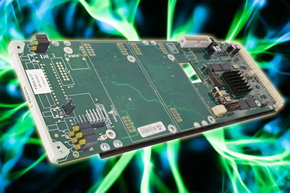 Working with 3Gb/s, HD and SD video sources, Safire 3 is ideal for any live virtual production – from studio to sport. You can set up an impressive chroma key automatically using multi-point sampling, or you can manually adjust the picture using any of the fine-tuning tools available – from lighting compensation to noise reduction filters. 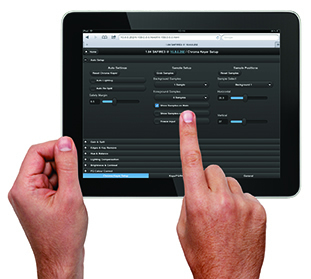 These adjustments can be made using a choice of control options – from control panel to web browser. Safire 3 is a module that fits in Crystal Vision's Indigo frames, saving you rack space by allowing up to 12 chroma keyers (or other modules) in 2U. Chroma keying is used to combine a virtual object (Background) with a real image (Foreground) by replacing a real colour (usually blue or green) with a virtual input. In a typical chroma key the Foreground subject is shot against a well lit uniformly coloured backdrop. 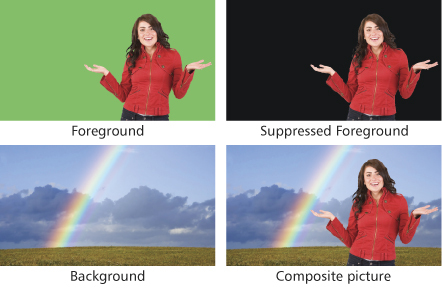 A Suppressed Foreground signal is produced in which the backdrop colour is removed and the signal is used to create a key to remove an area from the Background video that is identical in size to the Foreground subject. The Suppressed Foreground is inserted into the backdrop 'hole', then masks can be added to remove any unwanted Foreground or Background and any fine-tuning can be applied. Why use a dedicated hardware chroma keyer? Hardware chroma keyers produce better and more reliable results for live virtual productions. PCs do not have enough processing power to deal with the live technical challenges faced by broadcast engineers, such as variations in lighting or colour spill. For productions involving multiple cameras, using a separate hardware chroma keyer on each camera lets the operator see all the keyed composites before selecting them. Even the largest vision mixers do not have this flexibility. If any adjustments are wanted for one of these cameras, the adjustments can be made while that camera is not selected. It also makes it easier for different cameras to have different settings. A dedicated hardware chroma keyer also includes extra processing not found on vision mixers. Finally, a dedicated control panel makes it quick and easy to make small adjustments to the chroma keyer during the course of a live programme – such as when the presenter moves around, or as the camera pans to a different part of the studio where the lighting is darker or brighter. Safire 3's chroma keying uses an extremely sophisticated algorithm to determine how the key is derived, giving excellent results with minimal sensitivity to camera noise. Safire 3 can key on any colour, including sporting surfaces such as grass. Best results are obtained from intense colours (with high chrominance) that do not occur in the Foreground subject. Linear chroma keying avoids the hard switch associated with non-linear keying and allows areas of the final picture to be a mixture of both Foreground and Background, permitting the use of transparent and reflective objects (such as spectacles, a glass of water and smoke) and resulting in more convincing edges. Safire 3 features both additive and multiplicative keying to suit all types of situations. Additive keying relies on careful attention to the lighting of the Foreground, but should result in more convincing edges, shadows and transparent objects. Keys can be faded to show the Background input only, while a final fade to black is available on both the main and auxiliary outputs. Safire 3 makes it easy to quickly set up a chroma key, using cursor-based multi-point sampling to automatically get the optimum chroma key values – which are suitable for most applications. This samples the average brightness and hue of either one, five or 12 sample points on the backdrop to set the range of colours to key on. Safire 3 can also sample the chrominance at either one or four points on the Foreground object (person) to set areas where no chroma keying is required. Usually the more samples chosen, the more accurate the result – while with perfect lighting only one sample might be necessary. Samples are optionally visible on the main or auxiliary outputs and can be repositioned. The input can be frozen to make setup even easier – meaning your presenter doesn't have to stay still while you are making adjustments. 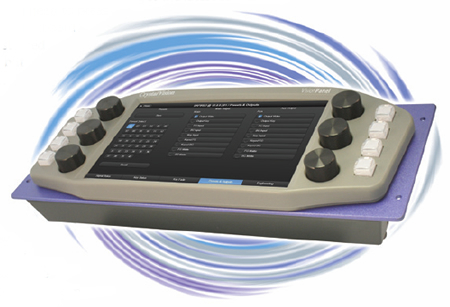 Safire 3's multi-point sampling will automatically generate a realistic chroma key which is suitable for most applications. An extensive range of fine-tuning tools are additionally available to optimise the picture in more challenging conditions. You can eliminate key noise and chroma key transparencies by using the Maximum Clip and Minimum Clip controls to adjust the key gain, the key Hue and Saturation controls to tune the backdrop key colour, and the key Acceptance control to increase or reduce the range of colour variation around the key colour. You can manage colour spill by using the Foreground Hue, Acceptance and Suppression controls to determine the range and amount of colour spill to be removed. The Foreground Balance and Foreground Tint controls help compensate for any Foreground colours being desaturated as a result of spill removal. Remaining colour spill can be removed using the FG Colour Compensate controls. Chroma Key Removal allows areas of black, grey and white to have the chroma key amplitude reduced for realistic shadows and a solid key. This is useful where colour spill from the backdrop on to Foreground objects is causing unwanted keying of the Background. Good lighting is essential for good chroma keying. Safire 3 has adjustments to help you achieve a uniform key signal across the image using two-dimensional lighting compensation for uneven illumination of the backdrop. The lighting distribution of a spotlight is a bright centre that fades away to the edges in a circular pattern, and the Background key produced will reflect that lighting distribution. Safire 3's lighting compensation makes it possible to minimise the effects of this lighting edge fade. For linear lighting problems, each edge can be adjusted. A radial gradient can also be applied to the chroma key gain. Lighting compensation can be automatically set by enabling the Auto Lighting feature during the multi-point sampling. There are three filters available. Safire 3 needs to upsample the 4:2:2 input video to the 4:4:4 colour space for the chroma key extraction, and the Ring Suppression filter can sharpen or soften the filtering of this process and reduce any ringing introduced by the camera. The Noise Reduction filter will reduce the noise on the chroma key signal while maintaining fine edge detail. Finally, the Edge Softening filter smoothes any jagged edges caused by high levels of key gain, reducing the noise on the chroma key signal and softening the edges of the key in both horizontal and vertical directions. With Safire 3's additive processing, there should not normally be a requirement to shrink the key – good lighting and a camera that does not add artificial sharpness will give the best keying results. However, if one of these is compromised, Key shrink is a useful tool to reduce artificial borders between the camera feed and background. Key shrink is user adjustable in 0.001 pixel steps from 0 to 1 pixel. Edge Processing applies adjustable non-linear processing to the key edge which may also help remove any hard outlines around the key. A natural-looking composite picture can be created by matching the look of the Foreground to the Background. This is possible by using independent lift, gain and chroma adjustments on both the Foreground and Background, as well as an active Foreground colour corrector which provides lift and gain adjustments on the individual red, green and blue channels. Spill is the effect where the backdrop colour appears on the Foreground objects, usually by reflection off skin or clothes. This is removed in the chroma keying process but the absence of reflected colour can make Foreground objects appear unnatural when chroma keyed over a different colour background. The Re-spill tool is therefore available to add a selected colour tint to Foreground objects, replacing the residual backdrop colour for a more natural-looking final picture. Make shadows appear - or disappear! The Shadow Density control can be used to increase or reduce the appearance of shadows. It can be used to remove any shadows that have been cast on to Background graphics by uneven lighting, something often required in news-type applications. For other virtual set applications, Shadow Density can be used to increase the shadows to make the composite image look more real – ideal for full length shots where shadows would be naturally cast on to the floor. Up to ten frames of video delay adjustment – adjustable in one frame steps – is available on each input, ideal for offsetting the delay caused by the graphics generators or for matching any other big system delays. On the other hand, when you want as little delay as possible, you can select short delay mode. Normally the noise reduction filtering is done both horizontally and vertically for optimum results; if you prefer a short delay of less than two lines in your system you can opt for horizontal-only processing. Any timing errors will be automatically corrected by the frame synchroniser on each input – synchronising sources up to one frame apart for easy system timing. Reference timing can be selected to come from the Foreground, Background or Key input or from SD Black and Burst or HD tri-level syncs. Safire 3 offers two internal rectangular masks (Foreground and Background) and an External Key which can be used to overrule the keying process. These masks include adjustable edge softness which is useful for blending between masked and unmasked areas for a more natural-looking edge. It's not always possible to have a perfect backdrop for your chroma key, but this isn't a problem with Safire 3. Unwanted areas of the Foreground can easily be removed by forcing the Background with a Foreground mask. Similarly wanted areas of the Foreground can be forced with a Background mask. Used either together or independently, the Background and Foreground masks can be turned on or off, inverted and adjusted in position and size. 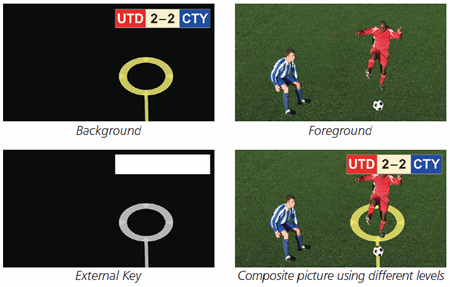 The flexible External Key should be used when a customised non-rectangular or moving shape is required and can force areas to be either Foreground or Background under the control of a key generated by a graphics system. It can force part of the Background to appear in front of the Foreground in the area of the supplied External Key – allowing a presenter to go behind a virtual desk, for example. 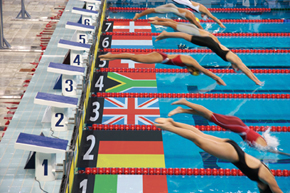 It also allows Safire 3 to be used as a linear keyer and for sports graphics applications. Safire 3 can double as a linear keyer – keying captions, logos, scoreboards and other graphics over a video source. You can linear key either by using the key signal on the External Key input, or by turning on the Self Key where it creates the key based on the luminance of the Foreground signal. Safire 3 is ideal for sports graphics keying in a diverse range of applications, from keying logos on to a pitch to virtual advertising. A typical sports graphics application may be where players walk over a sponsor's logo which is made to appear as if painted on the grass. Here the External Key is used to restrict the chroma keying to the area that contains the sports graphics: the chroma key will only occur in the grey area determined by the External Key input, with the camera feed (Foreground signal) forced everywhere else. Another scenario could be where you need to chroma key a logo on to a pitch and at the same time linear key a graphic (such as a clock or scoreboard) on to the video, forcing this graphic on top of everything else. This is achieved on Safire 3 by using the External Key and External Mask functions together to apply a chroma key and linear key simultaneously. Safire 3 uses the peak white area on the External Key input to force the Background and linear key the clock or scoreboard, and uses the grey area to allow chroma keying. Graphics can be keyed on to any sporting surface, not just grass –for example, snow keying can be achieved using a basic Luma Key. Safire 3 is easy to use in a system with embedded audio: the audio to be output with the final video can be selected from either the camera feed, the Background graphics or the External Key input. Alternatively all ancillary data including embedded audio can be blanked. Safire 3 is designed for those seeking the easiest workflow. How would you like to control it? VisionPanel is a stylish 3U control panel able to operate up to 16 Indigo frames containing Safire 3 chroma keyers (or other Crystal Vision products) over an Ethernet network, with the large, intuitive eight inch touch screen and physical controls making it ideal for live use. VisionPanel features eight hard buttons - F1 to F8. The four buttons on the left allow you to select which Safire 3 you want to control, with up to eight chroma keyers directly selectable by using these four buttons in combination with the Shift (F5) button. Should your system contain more than eight chroma keyers, you can easily select additional boards to control using the Device menu on the touch screen. The four buttons on the right are Shift (F5), Presets/Outputs/Chroma Key Enable (F6), Gain and Spill/Key Status (F7) and Back/Home (F8). F6 will jump directly into the Outputs and Presets menu, allowing you to quickly monitor your incoming and outgoing signals or recall or store a preset. When F6 is pressed with Shift (F5) also held down, it will toggle the chroma key on and off. Holding down F7 will immediately access the Gain and Spill menu. When F7 is pressed with Shift (F5) also held down, it will access the Key Status menu. F8 will take you back through your previous menus; with Shift (F5) held down, it will instead take you to Safire 3's home screen, where all the top level menu options are available. Soft buttons on the touch screen are used in conjunction with physical knobs to access the various intuitive setup menus, which allow the key processing, masks and engineering settings to be configured with ease. The VisionPanel can sit on a desk stand, be fitted into a desk or be rack mounted using the included rack mount kit. VisionPanel's GPI outputs show which of the first eight boards is being controlled, which can be used for selection of sources (when used with either a Crystal Vision switch such as SW803 3G or MultiLogo, or a third party switch) or as a light indication. In a multi-chroma keyer system, VisionPanel's GPI outputs could, for example, be used to trigger a switch to the Safire 3 currently being adjusted which can be used to drive a monitor. Alternatively there is GPI control, featuring five GPI inputs for preset recall (with up to 40 presets available, of which 32 can be recalled via GPI) and one GPI input dedicated to fading keys up and down. The key can be switched on and off from GPI, allowing an automation system to simply control the key without needing complex protocols or controls. Control is also available from SNMP or by using our ASCII or JSON protocols. Safire 3 is a space-saving 100mm x 266mm module housed in Crystal Vision's standard Indigo frames, which are available in three different sizes to suit all applications. 12 chroma keyers or other boards will fit in 2U, six in 1U and two in a desk top box. With Safire 3 the Foreground, Background and External Key inputs and one main output and one auxiliary output are accessed by using either the RM50 or RM73 frame rear modules. With both main and auxiliary outputs available you can easily monitor each stage of the keying process, looking at the various internal signals individually and making any changes. The RM73 rear module can provide relay bypass protection of the Background on power failure or board malfunction or removal – most useful for virtual studio applications such as weather. Relay bypass protection allows you to maintain programme output while maintenance is completed: it prevents signal loss by mechanically connecting the Background input to the main output whenever the supply to the rear module is interrupted. To get the new VisionPanel features introduced on 22nd June 2017 requires Safire 3 v1.9 software, Indigo frame 5.7 software or above and VisionPanel v1.6 software or above. Please note that Safire 3 users should only use v5.5 of the Indigo frame software or above if they are running Safire 3 software version 1.8 or above. If they are using Safire 3 software version 1.6 or older, then they should use Indigo frame software v5.4 or older. For more visual technical information, download the Safire 3 block diagram.